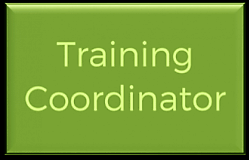 The training coordinator provides a range of essential services to enable efficiency and quality to aid the effectiveness of training and development. Training coordinators manage the expectations of learners, managers, and suppliers. They identify and interpret training needs, they coordinate venues, resources, certification, and provide statistics relating to evaluation. Therefore it is essential that the training coordinator interacts with the training cycle effectively, from the needs analysis stage to the evaluation and transfer of learning stage. The Professional Training Coordinator. A wonderful testimonial from the most recent course. The Professional Training & Development Coordinator programme has given me some great ideas, tools and also confidence. Joy trains in a way which makes you apply yourself and relates everything to real scenarios which you would come across in the work place. She really does go above and beyond. I have already benefited from this course and returned to work inspired and armed with a folder full of tools,and templates and mind full of ideas to start implementing at work. I would highly recommend this course and Joy as a trainer. What do they want from your department? What/how can they contribute to the activities? What help do you need from them? What help can you give them? How does the organisation benefit? What do trainers need to know about learners needs? Evaluation forms…what do we need to know? Transfer of learning – how do we track it? What value do you and your department add to the organisation? Is your training and development footprint shrinking?